This two strand necklace is strung with bar shape hematine and rondell shape magnasite. 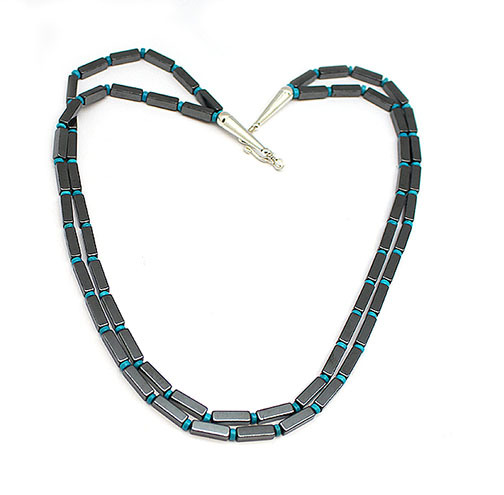 It measures approximately 22" long and is strung by Navajo artisan Naomi Garcia. Currently only this one available.